The first time I heard about Techstars was in August 2011, when Brad Feld, through its venture Foundry Group, invested $10M in MakerBot. I shared the same feeling, but I was in a very different position. I was living in a remote fishing town in Brittany, with no one in 100 miles radius interested in 3D or digital manufacturing. At that time, I had already bought tickets to fly to New York to meet with Bre Pettis, MakerBot co-founder, at Maker Faire. I started following Brad on Twitter and realized he was a co-founder of Techstars, a Boulder-based company in Colorado. I believe there are no coincidences, only opportunities that you make happen or not. In 2011, working closely with Google Sketchup, Google Maps and Google Earth for the Palace of Versailles, I found out Boulder is the center of the Universe as we know it. Six years later, I am back in Boulder joining Techstars, and it’s my pleasure to launch the first program in France for the company. Two great brands, Techstars & Paris, are coming together to offer founders around the world the best acceleration program content, supported by a consortium of French corporate companies (Air Liquide, FDJ, Groupama, Renault Group, RCI bank services and Total) that are looking for new opportunities, partnerships and into the future of their own organizations. For its 10th anniversary, the Techstars Accelerator is landing in France after opening earlier this year in Adelaide, Australia and Toronto, Canada. When David Brown and David Cohen started the company with Brad Feld in Boulder, Colorado, I am sure they secretly had the idea of expanding worldwide; but Paris probably looked far, far away. Techstars is a worldwide network that helps entrepreneurs succeed. Still, the Startup Programs (Startup Week, Startup Weekend and Startup Digest) have found a thriving ecosystem in France a long time ago. It was in France that the first Startup Weekend outside of the United States was held in 2009. With 56 Startup Weekends organized in 2016, France is the third country in number of events after the US and Brazil. Over 15,000 French participants have experienced entrepreneurship first hand in more than 40 cities across the country. Techstars Paris will be located at the Partech Shaker. It’s Partech Venture Capital’s co-working space for startups in the middle of the Silicon Sentier, that neighborhood in Paris where the technology ecosystem concentrates. In a few months after weeks of construction and decoration work, the seventh and eighth floor of the building will open to the first class of Techstars Paris, just under the roof terrace with a 360° view on Paris. The French startup scene is ripe for Techstars to launch in Paris. 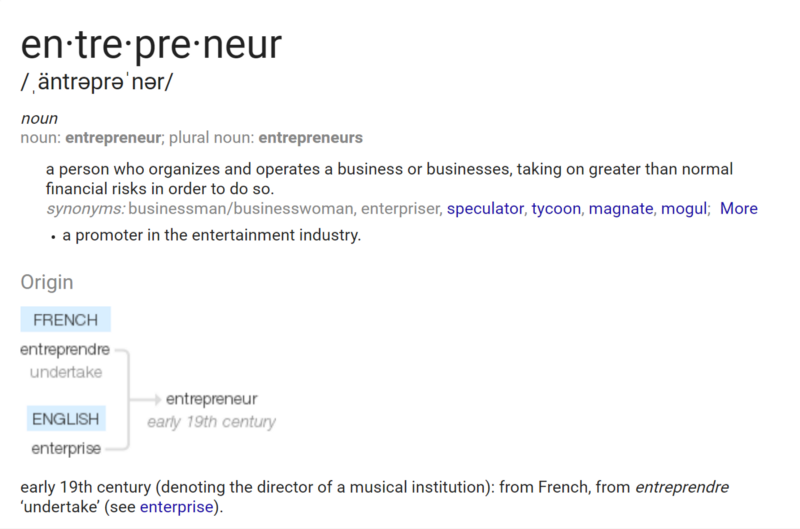 French engineers and talents are drafted worldwide, and the word “entrepreneur” is of French origins. In 2016, French startups raised €1.3 billion. Champions like Blablacar are expanding their activities worldwide, and others are to follow. The former government has created some conditions for the ecosystem to flourish, la French Tech, but also BPI (National Bank for Investment) who is the largest VC fund in Europe. The French Tech Ticket program permits founders around the world to settle their company in France with access to work permits and support. Also the CIR, is a great driver for companies developing proprietary IP and investing in R&D. Paris offers many co-working spaces, including the recent launch of WeWork, the forthcoming Station F, the Cargo and the NextDoor network. All are well prepared to host founders and their teams. What is less abundant is access to an international network of founders, mentors and partners to help build the next great company. Techstars Paris is an opportunity for founders worldwide to access Techstars and its partners’ resources through the 13 week Techstars’ accelerator program. We are open to all great business ideas and innovations. Techstars Paris Accelerator is for technology oriented companies whose business leverages the Paris ecosystem. We’re looking for companies that can have national or global reach. We have seen many interesting uses of the technology in Paris, so we are excited to see new ideas and which companies will apply. None of this would be possible without the support of the consortium of corporate French companies that made it happen. Air Liquide, is a French multinational company which supplies industrial gases and services to various industries including medical, chemical and electronic manufacturers. FDJ, Française des Jeux is the operator of France’s national lottery games, and the title sponsor of the FDJ cycling team. The name of the company translates as The French Games. The company is owned and operated by the French government. Groupama, an abbreviation for Groupe des Assurances Mutuelles Agricoles is a French insurance group headquartered in Paris with operations in 14 countries. Renault, Groupe Renault is a French multinational automobile manufacturer established in 1899. The company produces a range of cars and vans, the group brands include Renault, Renault Samsung Motors, Dacia, Nissan, Infiniti, Datsun. RCI Bank and Services, formerly known as Renault Crédit International, is a France-based international company that specializes in automotive financing, insurance and related activities for the Renault group brands globally in Europe, Russia and South America. RCI Banque is a wholly owned subsidiary of Renault. Total, energy producer and provider, is the world’s fourth internationally ranked oil and gas company and the second ranked photovoltaic solar energy operator. With such a diverse panel of partners, we were able to identify a short list of common interests the 2017 class of Techstars Paris will focus on. Techstars Paris alumni will connect with a supportive group of mentors from the corporate partners, but also from the entrepreneur ecosystem. People such as Barbara Belvisi Hardware Club co-founder, Marc Goldberg founder of Maslow Capital, Tariq Krim Netvibes and JoliCloud founder, and Sandrine Plasseraud founder of We Are Social, will be on board to meet and share with the startups along with other great mentors. Techstars mentors accelerate business growth and help entrepreneurs do more faster. Get unprecedented access to mentorship from corporate partners including Air Liquide, FDJ, Groupama, Renault Group, RCI and Total. In addition to unrivaled mentorship, get access to capital, office space at Partech Shaker and a founder network supporting you throughout your entire lifetime. Applications for Techstars Paris are open now through June 18th and the program kicks off in September 2017. Apply here! Looking forward to hearing from you. Find me on LinkedIn or Twitter. Bertier is a professional maker-entrepreneur, creative technologist, self educated, father of two kids, and now Managing Director of the Techstars Paris Accelerator. He launched leFabShop, a digital fabrication studio and a community company, early 2012 in France. It’s work has been featured in international press from Wired to Time Magazine, and licensed by Google for Chromebook 2015 commercial.